This is the experience of the unconscious side of Cancer, the habitual, more needy and childlike aspects of behaviour. 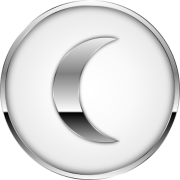 Watery Moon positions all tend to be sensitive, caring, devoted and considerate, and need emotional security so much that they are prepared to exert coercive pressure to get it. 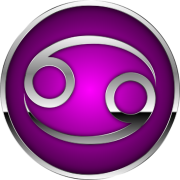 Cancer Moon is warm-hearted, tender, affectionate, careful and shyly hesitant to become emotionally involved because such things matter deeply and have to last. ​They can be motherly like a broody hen, centred on the closeness of her family, supportive, loving, protective and nourishing to self and children, totally committed to providing a warm nest and cosy comforts. Rather dependent and lacking in self-reliance, they really do need lots of attention and love, and if that is not forthcoming can be very moody, either sulking or dreamy; they often retreat into their romantic, imaginative fantasy worlds. Mood swings are as fast and variable as tides and Moon phases. Any imperfection in loyalty is felt as betrayal, perhaps forgiven but never forgotten.